The Washington Wizards came into the 2018-2019 NBA season with high expectations for themselves, as well as a general sense of respect from the NBA media and fanbase. With two high-level all-stars on their team in John Wall and Bradley Beal, as well as a decent supporting cast, they were poised to have a successful season. However, they had a miserable start to the season going 1-7 in their first 8 games, and now have a record of 6-12. This poor start can be mostly accounted to the dysfunction within the team and the organization. Despite the fact that they have all that talent and they all have a winning mentality, the team members are unable to coexist with each other, and the players seem more focused on personal success than team success. A few days after a volatile recent practice, it was revealed that things were even worse than what it seemed. John Wall got into it with one of his teammates, and when the coach tried to get things under control, Wall told his coach “F— you”. Another player also cursed out the coach during the practice. In another incident during the practice, Bradley Beal got in an argument with a teammate over complaining about fouls during games, and then turned his attention to the General Manager of the team saying he is “sick of this s—“. Beal also said that this dysfunction starts from the top, meaning from the GM of the team, and how the latter did a poor job building the team. With all this dysfunction it is likely only a matter of time before this Wizards team needs to change everything and trade many of their pieces. The players on the Wizards all have a very power and performance mindset where they want to destroy the competition on the court, however, they also seem to want to destroy each other on the court as well. 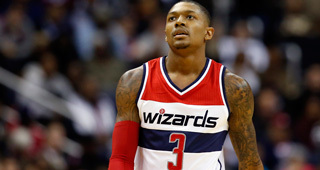 Should the Washington Wizards blow up their team and try to start over? Or should they try to work it out and see if they can salvage their season?